This is my Kraus laminate flooring review based on me installing about 600 ft in a living room, hall, kitchen and dining room. This is the Lagacy 3 strip look planks. This Kraus Lagacy laminate is 8 mm thick, and carries a 27 year warranty. It has a AC3 wear rating. The planks have a square edge (not beveled). Each plank measures 54.3 inches in length by 7.6 inches in width. I see that it is priced under 1.50 online as of Sept. of 2011. I would say that this laminate is not the easiest to install. 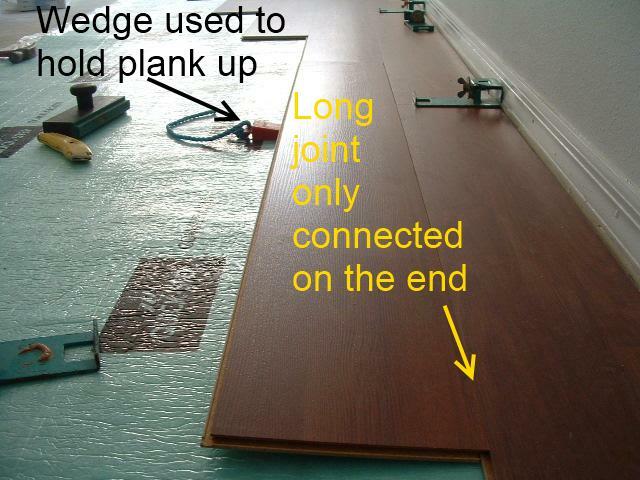 I could not tap the planks together laying flat side by side. This makes it especially difficult when trying to install under door jambs. In open areas I found that I had to connect the end joints first and try to tilt the plank up at an angle to connect the long side. Only problem with this method was I couldn't connect the long side by hand. I had to tilt the plank up at an angle and tap the long side together with a hammer and tapping block. It is hard to tilt the plank and tap at the same time. I had to use a wedge to hold the plank at an angle while I tapped it. This adds time to the whole installation process. I was not too pleased with the end result of this flooring. 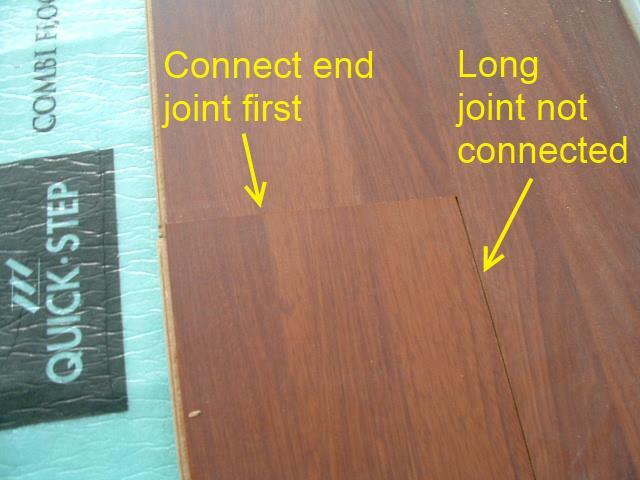 Mainly because the joints did not fit flush (smooth) together. I found some proud edges (one side higher than the other). This would be difficult for the do it your selfer also. I don't like the extra time it took to install. And having to shave the locking system around door jambs and then add glue does not work too well for thinner laminates.